Whell I have moved in to my on house as u all no but I all ways won’t a house by the see side because I love walking on the beach and having fires and felling the lovely soft sand and the smell of the see and swimming and tacking the most wonderful stafferbull tears out. And my ideal car is a soberro but well have to bee realistic so voxyl cosa red and black Matted and big lound spieler and orange wells and black out windows And a massive speaker in the boot. And Ideil job is army or police but yet ageing we have to bee realistic so a macanick with my new friends and me to bee ther boss for ones not mother hen!!!!!! And my ideal stile is rally skinny jeans and long hire and one side saved but I cart grow my hire past a grade 4 because its rally annoye me. And my ideal laptop is a Appel Mac. me and one of my best fiends we are starting a caffe at the hotel and I’m go to do a club with no acihol. i work at a resqiew center for dogs and birds and a blind gote and stuff and we got a Gary hound in on whensday and he is in a rate stat so I rally won’t to help him get better. My one dreem that I’ve all ways won’t I’d is a baby girl calls Tilly Kat Boorman or a son call Jason David Boorman the end. As adoptive parents we become aware of loss quickly. The process of adoption may or may not begin with personal loss but certainly the day somebody else’s child arrives in our home we are acutely aware of their loss. Sometimes we can feel it in their rigid bodies or see it in their eyes. Even more naive and less prepared adopters understand that the challenges ahead will require parenting skills and nurturing above and beyond that which is usually required. I believe adoptive parents are on the whole, big hearted, brave, resilient and good humoured people. We come to adoption for individual and varied reasons. With much mindfulness and faith we open our arms and hearts to children who very often cannot accept our love or trust us very easily. Many of us have more empathy for a birth families loss than we are given credit for. This lack of credit for our emotional intelligence often extends to the way we are viewed by the professionals that “deal” with our children at school, in health services and social care. Sometimes sadly this even extends to our own wider families. It is still very difficult, despite years of public reporting, political rhetoric and charity awareness raising on the issues that adoptees may face, for those not immediately and directly involved to truly get “it”. As well as awareness of birth families loss, adopters are highly aware of the loss of budgets to schools and mental health services. We are aware of the publics loss of faith in social workers and social workers loss of training and confidence in their authorities to back them fully. We understand the loss to local authorities of adequate government fed resources to deliver quality services to those in need. However, as adopters we need to be able to concentrate fully and exclusively on responding to our children’s individual loss and need without concerning ourselves too much with how difficult, expensive or time consuming it is for everyone else to deal with the issues of adoption or adopted children. If you are parenting somebody else’s child who is traumatised, has development delay or was considered to be “hard to place” it is life changing. It truly is intensive care and there is rarely anything in the process of adoption assessment or preparation that actually prepares you for the enormity of the task. I have been an adoptive parent in an open adoption and a long term therapeutic foster parent over many years. 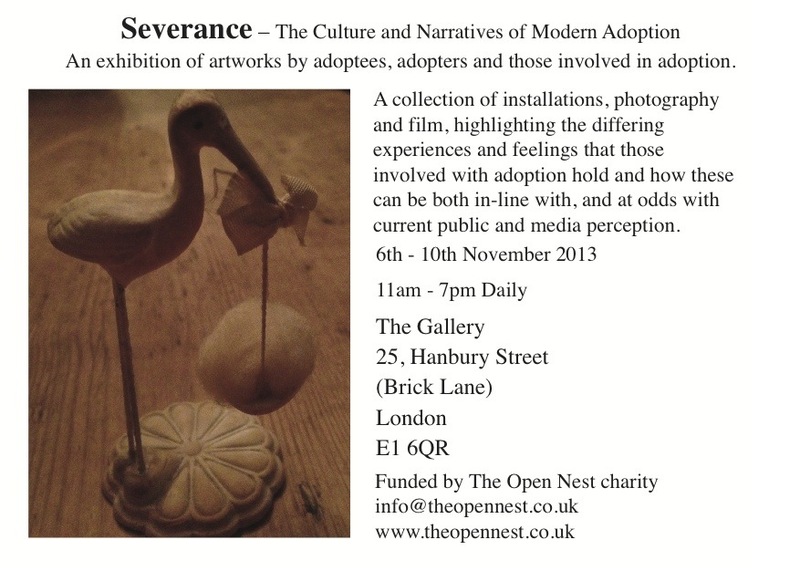 I have seen most sides of the care and adoption story. It has been confusing at times to consider the merits of foster care above adoption or adoption above local authority care. It’s a difficult balance to understand a birth parents feelings whilst taking part in healing their traumatised child. The single most confusing issue I feel I have had to deal with is the astonishing and offensive disparity between professional discourse and inter agency spending to create discourse around adoption issues, and any enshrined duty to support and train adopters who are essentially the expert frontline workers for adoptees, regardless of the politics of the day. when I was littel I was taken away my mum and dad and my 2 brothers. And then we all had a good by contact in a whizzy wakey werhouse tap off place. when I was taken from mum and dad the Ss band my head on the side of the door and I was sceeming begging my dad to let me stay and I proble cry and cry. i don’t remember and went in lots of diffent Forster homes and now I rally angry to words my mum for been such a shite mum but I love her but hate her at the same time and when I see happy family’s it rally herts. i blame mum and the ss but at the end of the day mummy bear is my mum and no one els is and Claudia is like a mum and my mums friend Dave is like a dad. And my mums very good friend Andi is been like a dad to me and my brother. my littel bro I’ve haven’t seen for a long time and big bro is living in Whitby and it bricks my Heart not been with them. i fell rally giltey because I some time think it my folt they haven’t got ther littel and big sister because I was the girl and proble hardiest to look after but I love them both so much. When Jazz first came to live with me her brother was in a children’s home. He was only seven and was housed far away from his family and friends. We would regularly go to see him at the home and take him out for the day. After some negotiating with Social Services he was allowed to come and stay with us for weekends. The visits were very special and for the time we spent together the children seemed happy and relaxed in each others company. When it came to say goodbye however, emotions would rise and tantrums and tears would begin. It was completely understandable but tricky to manage. Jazz would beg me to bring her brother home with us and he would storm off refusing to say goodbye. The long two hour drive home across the Pennines was sad and often spent trying in the best way possible to explain the emotions of the situation to a six year old. After a few visits her brother gave her his favourite toy to take home with her. 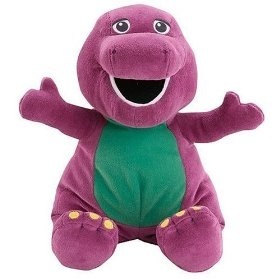 It was a soft toy Barney the dinosaur. Between them they set up this system where each one would take it in turns to keep it after the visit. Backwards and forwards it went providing a manifestation of the unwritten connection they held. It seemed to ease the pain, knowing because Barney was involved they would definitely see each other again. The Barney mantra became stuck in their heads and repeated over and over. At times I have to admit it drove me crazy. As time went on they even felt brave enough to let each other keep Barney for an extra period of time. Jazz’s brother was moved to another three homes between the ages of seven and twelve, but the routine continued. At the last home he was in before coming to live with us permanently, a young member of the care staff who had known him but weeks decided it was time to “sort out his room”. Without his permission a bin bag of his things were taken to the charity shop because they were considered “too childish”. Barney the family heirloom that connected them for years was lost forever.